The time is right to get growing! Tempting as it may be to buy plants in spring when they’re looking full and luscious, fall is actually ideal for getting most ornamentals and cool-season edibles into the ground. Summer’s peak heat is behind, the soil is still warm, and the next few months can bring soaking winter rains. 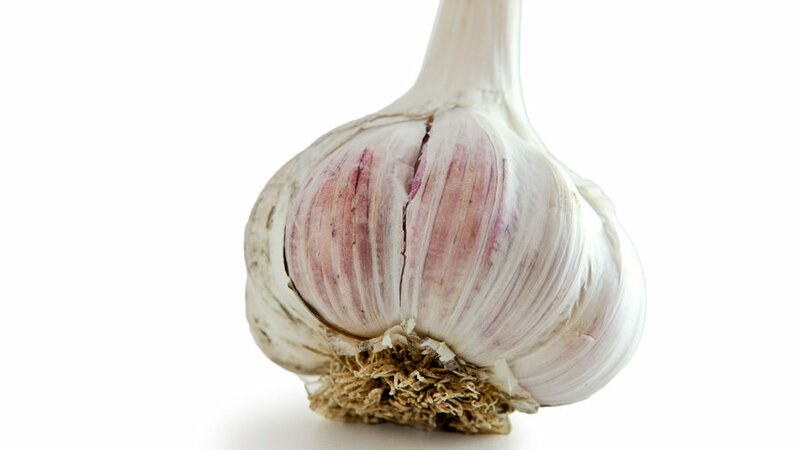 That means immediate and deep root growth for all kinds of plants that reach their prime in spring, if not before. 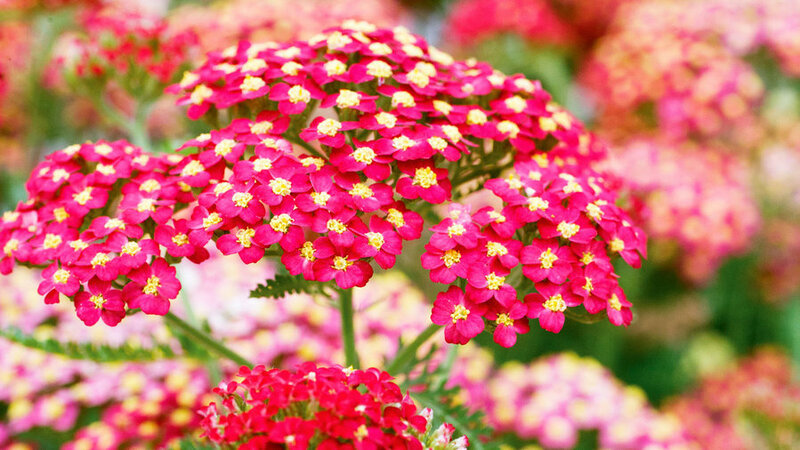 Here are our top picks, including some surprises—plus tips for planting them. Traditional lawns need lots of water to stay lush-looking. 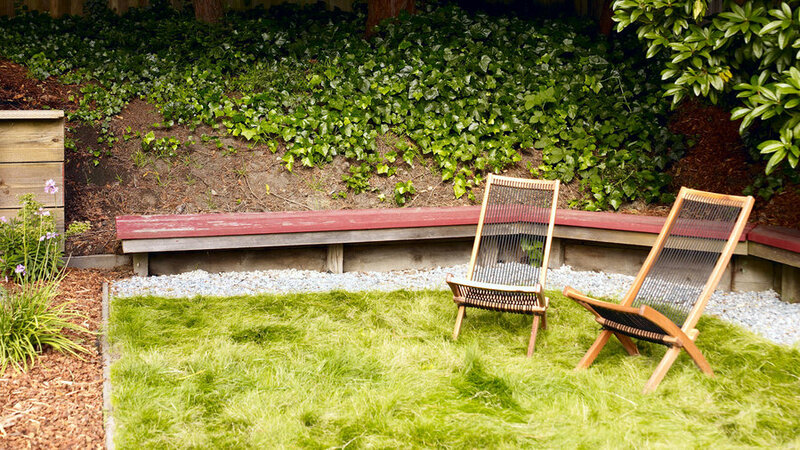 But if you’re getting serious about slashing your water bill, now’s a good time to plant or replace the usual lawn with a low-water grass such as blue grama or a fescue blend such as Eco-Lawn (pictured; wildflowerfarm.com). In warm-winter areas, start seed in fall; where winters are cool, wait until spring. 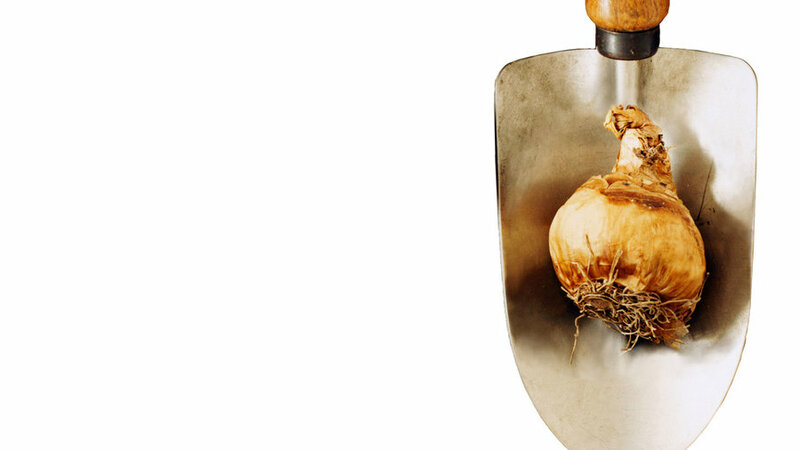 Prep the soil by tilling it 8 inches deep. Top with a 3- to 4-inch layer of organic compost. Till again; rake the area smooth. Water thoroughly, let the soil settle for a few days, then sow seed. More great picks: Tufted hairgrass is a native bunchgrass (groworganic.com). Plant ‘Legacy’ and ‘UC Verde’, both buffalo grasses grown from plugs (highcountrygardens.com), in spring to midsummer. A few high-impact shrubs are valuable garden building blocks. 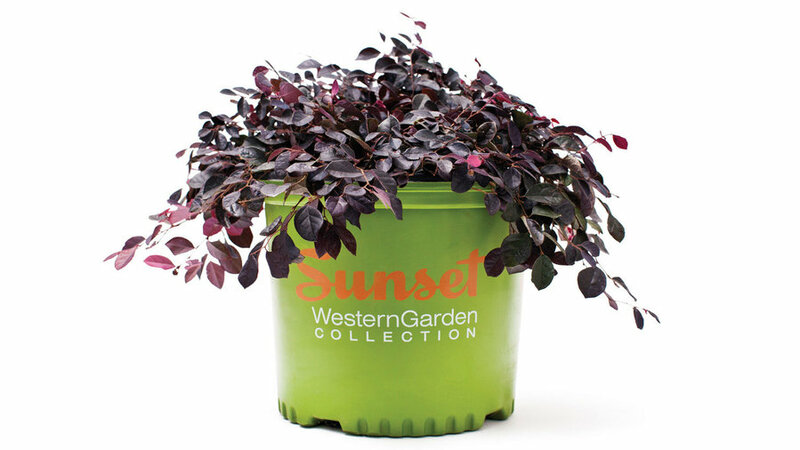 We already love the burgundy leaves and bright pink flowers of Chinese loro­petalum, and Purple Pixie is the first and strongest dwarf form. 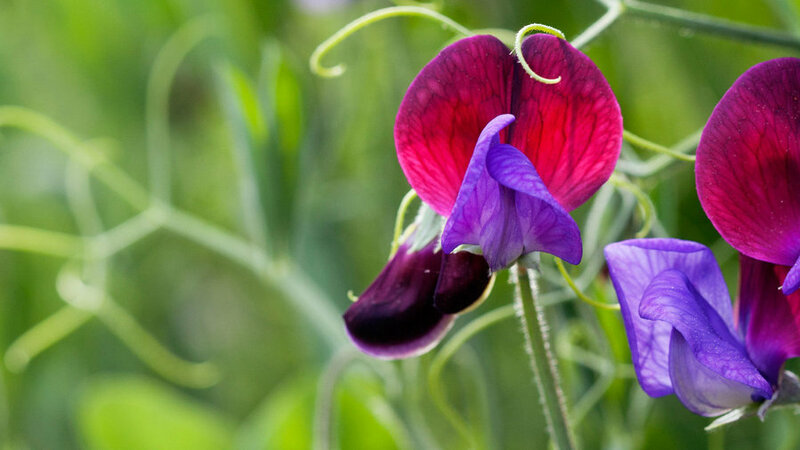 Graceful and weeping, it grows 4 to 5 feet wide but tops out at less than 2 feet tall. It’s especially pretty spilling over the edges of a container. Plant this evergreen shrub in full sun or light shade; give it acidic, well-drained soil. Find Purple Pixie at Orchard Supply Hardware (osh.com). 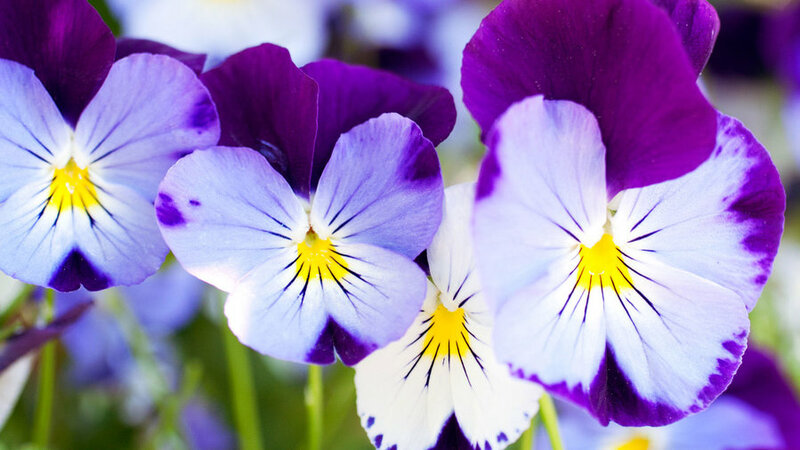 Beyond their obvious charm, Cool Wave pansies are the most vigorous we’ve ever seen. The pretty mounds cover themselves with rich purple, white, and yellow flowers from fall into early summer. Plant in full sun; they’ll grow up to 8 inches tall and 30 inches wide. Freesia. Fragrant blossoms come in white, yellow, red, lavender, and orange. Set corms 2 inches deep and 2 inches apart. Plants disappear in summer (don’t water then). Sunset climate zones 8, 9, 12–24. Narcissus. These bloom in many sizes and shapes, mainly in shades of white to yellow. Try ‘Inbal’ and ‘Ziva’ for fragrance, ‘Gigantic Star’ for impact, or ‘Minnow’ for tiny blooms. Plant 6 to 8 inches apart. Zones A2, A3, 1–24. Of all the deciduous trees out there, we’re especially smitten with those whose leaves turn vivid fall hues, from rich red and gold to fiery orange and deep burgundy. At nurseries in early autumn, you can see them sporting their true fall tree colors before you buy. Our picks range from a dwarf container-size tree (Japanese maple) to a whopper that needs space to show it off best (ginkgo). Japanese maple. 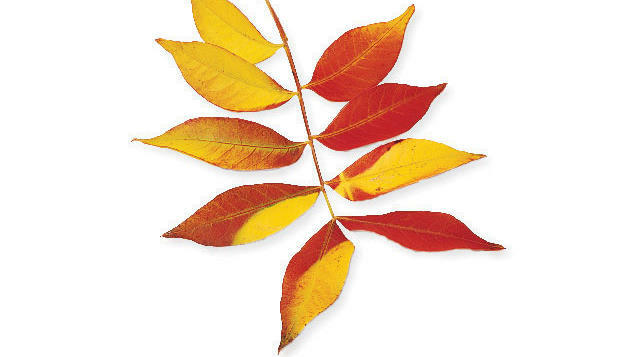 Choices include ‘Shaina’ (5 ft. tall; red foliage) and ‘Sango Kaku’ (25 ft. tall; yellow leaves). Gingko. Fan-shaped leaves of this shapely tree (to 35 ft. tall or more) turn brilliant buttery yellow. Chinese pistache (pictured). A good patio tree; 30 to 60 ft. tall, with luminous leaflets of orange and yellow to scarlet in fall. Redbud. Cercis canadensis ‘Forest Pansy’ grows 25 to 35 ft. tall; autumn leaves are yellow to red. 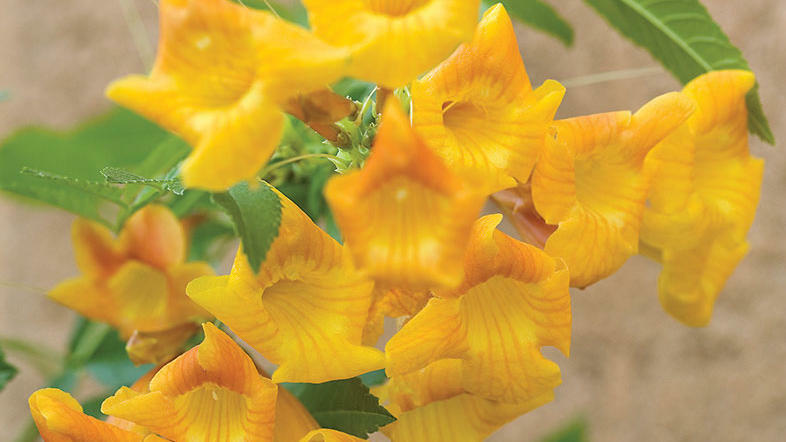 For an easy-care garden, native plants are the natural choice. Many tolerate drought once their roots are established. Unless your soil is compacted and drains poorly, don’t bother amending it before planting—most of these plants adapted to native soils long ago. And forget fertilizer; they rarely need it. Many are rich in nectar or seeds that attract birds and butterflies, and some smell like the aromatic wild shrubs fringing your favorite hiking trails. All give the garden a sense of place. Use them to create an all-native backyard ecosystem mimicking your region’s indigenous plant communities, or mix natives with compatible plants that take the same conditions. 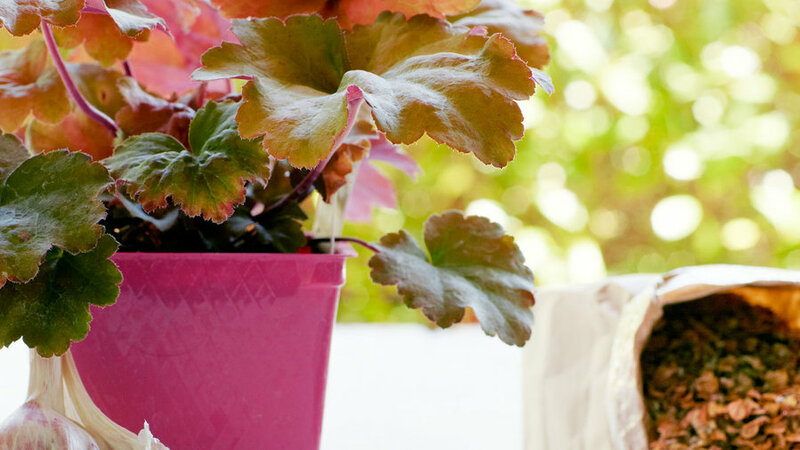 Start with young container-grown plants that aren’t rootbound; they may not be much to look at when first planted, but they’ll adapt more successfully than larger plants. Water thoroughly after planting, then carefully and steadily for the first summer or two. After that, many should do well with little or no supplemental water. Semipermanent plants, some perennials are evergreen; others die to the ground at the end of each growing season, then reappear from roots the following year. Most need periodic division and replanting to look their finest. 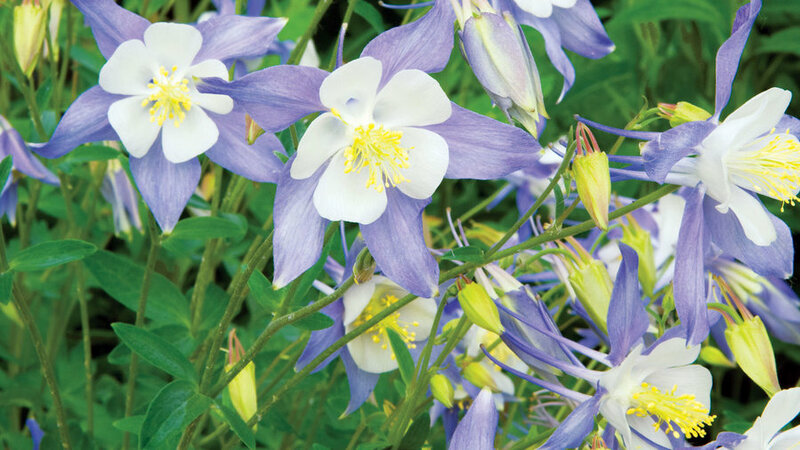 Grow them for their colorful foliage or for beautiful blooms. The leaves of perennial foliage plants range from green to colorful enough to brighten any garden. 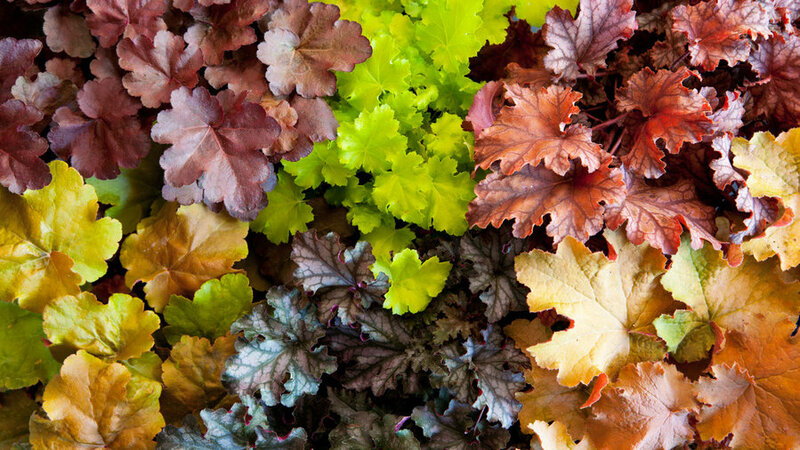 One of our favorite foliage workhorses is heuchera, which comes in a variety of leaf shapes, from rounded to ruffled to scalloped, with colors ranging from burgundy, caramel, apricot, and bronze to vibrant chartreuse. The low perennials—about 1 to 3 feet tall and wide—are perfect in containers and borders. Give them full to part sun and regular water. The best fall perennials to plant now, after a dry summer, are unthirsty bloomers such as salvia, gaura, and yarrow (pictured). All pump out striking flower clusters over a long season (from summer well into fall); many attract pollinators such as bees and hummingbirds. Grow the plants in a sunny spot where they’ll have enough room to reach full size, and water regularly for the first year or two, until the plants mature. In much of the West in spring, wildflowers carpet whole hillsides with brilliant blooms of yellow, orange, pink, blue, and white—especially after a rainy winter. You see annuals with willowy stems and crepe paper–thin petals that glow in sunlight. And you see tough perennials that have thick petals saturated with color. But you don’t need a roadtrip to find wildflowers—they grow in garden beds and even in containers. Buy a seed mix designed for your climate; an ounce of seed can cover 100 square feet. Broadcast the seeds over weed-free soil in a sunny spot, following package instructions. Lightly rake the soil to cover the seeds. Oh, and pray for rain! 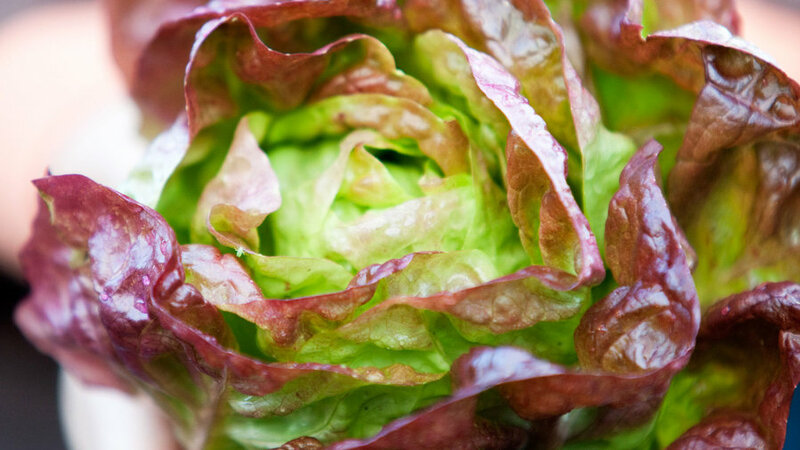 Salad mixes are cool-season essentials—quick, easy, and tasty. Sow seeds before cold weather sets in (plants mature in about six weeks). Our pick: Baby Red Mix from Cook’s Garden (cooksgarden.com), for its colors, flavors, and textures. For cooking, try Renee’s Stirfry Mix, from Renee’s Garden Seeds (reneesgarden.com). It blends Asian red kale with tangy red mustard, mizspoona (a new cross between sweet mizuna and succulent tatsoi), and a white-stemmed pak choi.